Sprinklers might not typically be thought of as an unsafe household item, but the Consumer Product Safety Commission’s (CPSC) National Electronic Injury Surveillance System (NEISS) estimates there were more than 2,273 reported cases of injuries to children under the age of 18 caused by garden hoses, nozzles, or sprinklers that were treated in hospitals in the United States in 2014. It’s important to teach children to be mindful of playing in areas where sprinklers are located, in order to prevent trips, sprains, and other injuries. Whereas oscillating sprinklers are generally suitable for children to play in during hot weather, some pulsating models can have a powerful stream that may injure a small child and should be avoided. 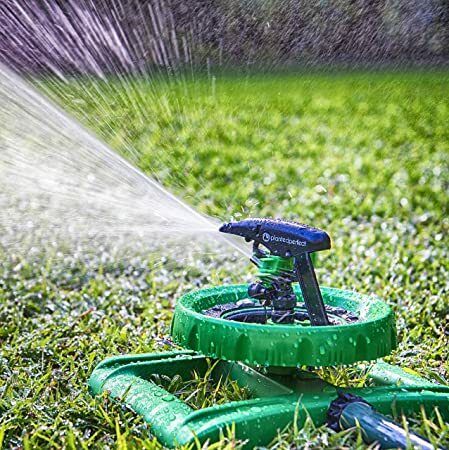 Your lawn and garden’s watering needs will likely determine the style of sprinkler you purchase. With the above information in mind, in no particular order here are 50 of the sprinklers that we consider to be the best, based on available features and average customer ratings and reviews. This sprinkler features a motion-activated system that works both day and night to help keep unwanted visitors out of your lawn and garden. It boasts 120-degree coverage and helps to conserve both water and battery power with its smart sensing technology. This sturdy sprinkler provides a coverage area of up to 5,800 square feet with a 60 psi rating to help cover more area in less time. It boasts adjustable coverage with oscillation to provide just the precise coverage you desire. 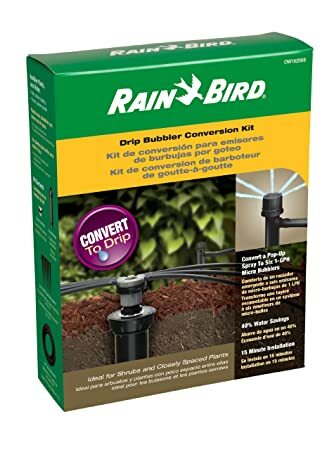 This adjustable sprinkler boasts a professional-grade design and construction and shoots water from 8-15 feet to provide just the right amount of coverage for your lawn. 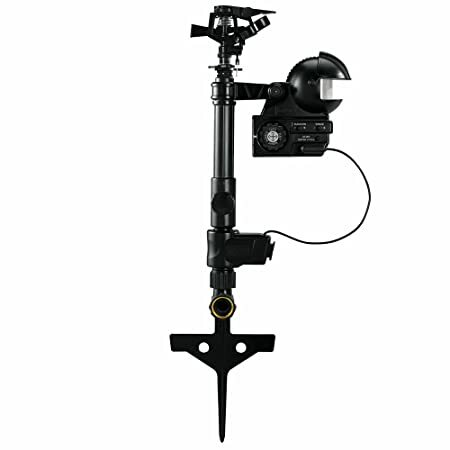 It pops up 12-inches and features a 360-degree adjustable spray zone. 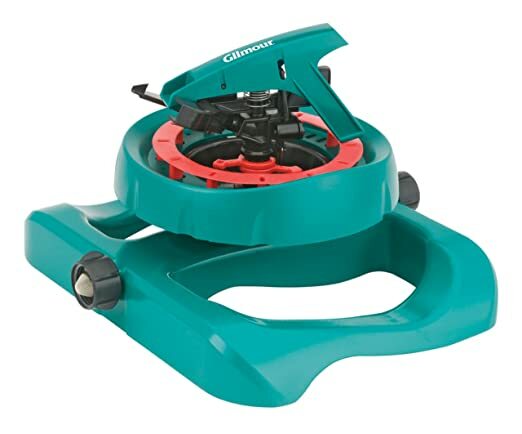 This oscillating sprinkler boasts a coverage area of 3,900 square feet with fully adjustable width control to provide spray from 13-55 feet wide. 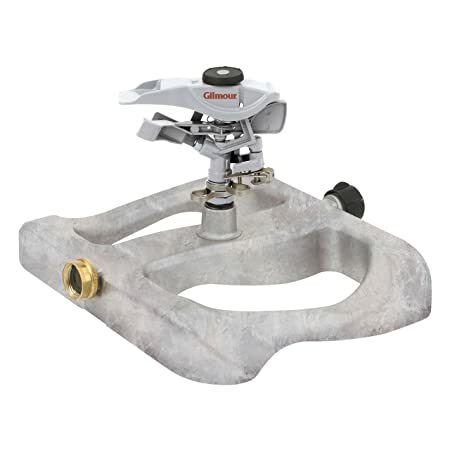 It comes with a 1-year warranty and features quick connect hose connectors. 13,500 square feet of watering coverage. The durable, cast iron body and chip-resistant, powder coated paint has been built for year of continuous use. This spinning sprinkler system provides a watering coverage area of up to 38 feet around while creating a beautiful and mesmerizing spray pattern. It features a heavy-duty stationary base that provides increased stability. This affordably-priced sprinkler provides a coverage area of up to 30×30 feet in diameter in a circular spray pattern and features a heavy-duty metal construction that’s ideal for extended outdoor use. 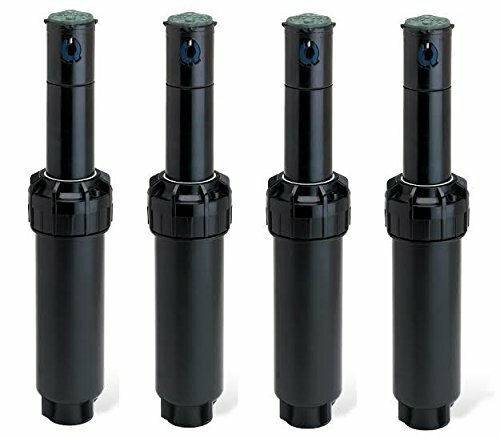 This 5 pack of pop-up sprinklers provides adjustable spray coverage from 8-15 feet and is fully adjustable from 0-360 degrees without the need for any special tools. This oscillating sprinkler is fully adjustable to provide a watering coverage area of 874-3,900 square feet. 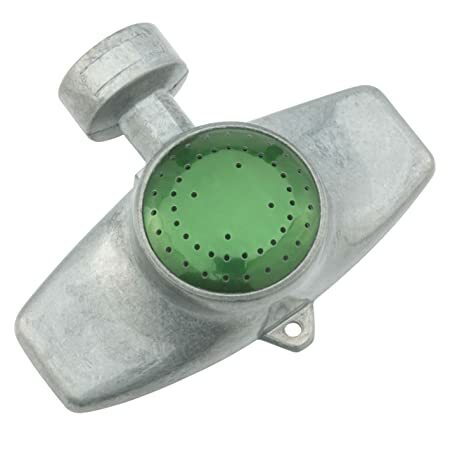 Easy slide adjusters make precise watering needs a breeze and the integrated flow control allows for fine adjustments. This 2-pack of pulsating sprinkler heads provides a watering coverage area of up to 85 feet in diameter in a circular spray pattern. It offers an easy and affordable solution to keep your lawn adequately watered all year long. This pulsating sprinkler boasts a spray coverage area of 50-7,850 square feet and is adjustable between 30 and 360 degrees to provide just the coverage you desire. 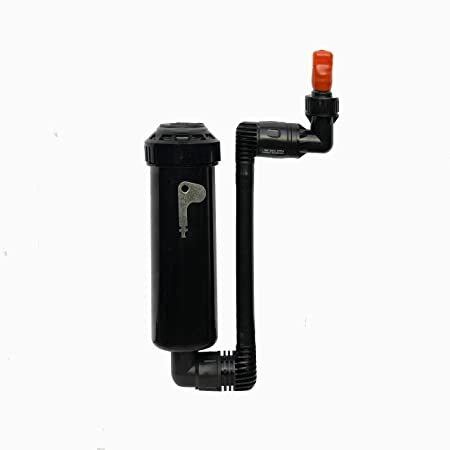 This oscillating sprinkler is fully adjustable to provide a maximum watering area of 950-2,400 square feet and boasts an adjustable width range of 23-56 feet. This oscillating sprinkler boasts a large coverage area of up to 3,900 square feet and comes complete with 18 clog-resistant rubber spray nozzles. This nifty little kit includes everything you need to convert your pop-up sprinkler system into a water-saving microbubbler zone. 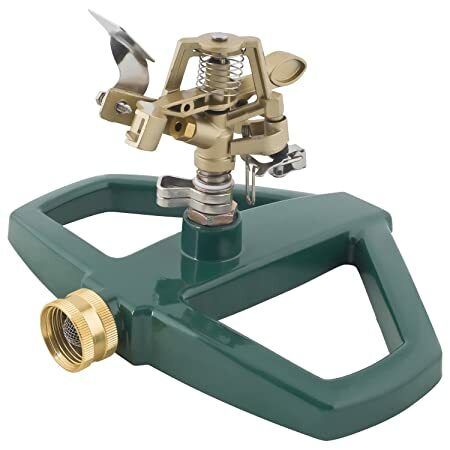 It is ideal for watering your outdoor garden areas with pinpoint accuracy. 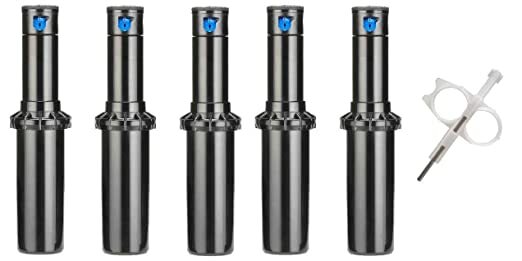 This high efficiency sprinkler nozzle boasts a coverage area of up to 15 feet and comes in a convenient 10-pack to help cover even larger areas. Because the spray pattern provides an even coverage, you won’t have any more unsightly brown spots on your lawn. 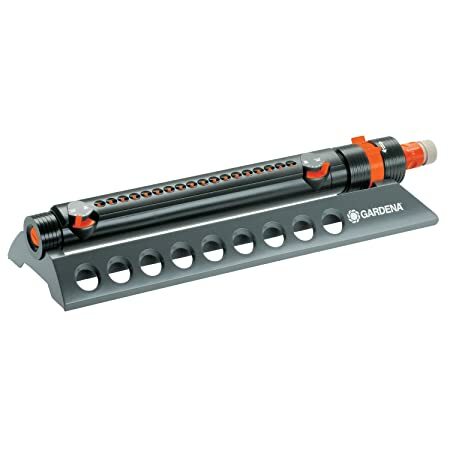 This flexible outdoor sprinkler allows for precision control and watering of only the areas you desire and helps to prevent costly water waste. Thanks to its spray pattern and precision position, it helps to prevent unsightly brown spots on your lawn. 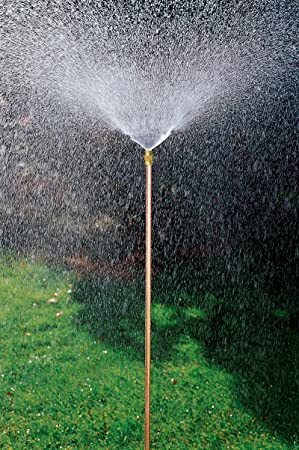 This whirling sprinkler boasts a coverage area of up to 35×35 feet and features a square spray pattern that enables the user to get water into every hard-to-reach corner. Thanks to its gentle rain pattern, it’s even ideal for gardens and areas with reseeding. 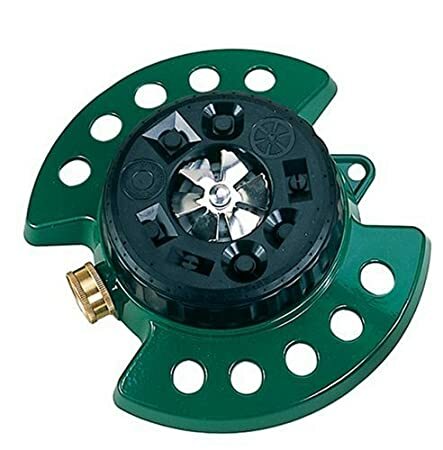 This affordably-priced sprinkler provides a coverage area of up to 30×30 feet in diameter in a square spray pattern and features a heavy-duty metal construction that’s ideal for extended outdoor use. 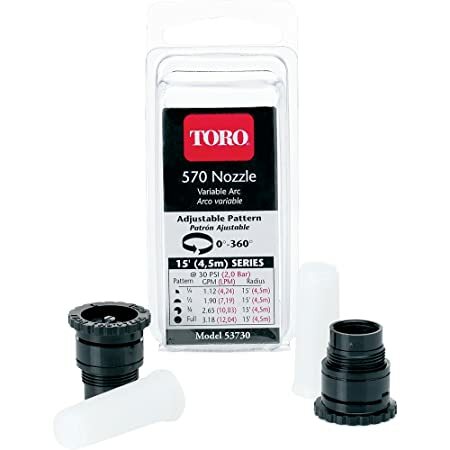 This high efficiency sprinkler nozzles boasts a coverage area of up to 12 feet and comes in a convenient 10-pack to help cover even large areas. Because their spray pattern provides an even coverage, you won’t have any more unsightly brown spots on your lawn. 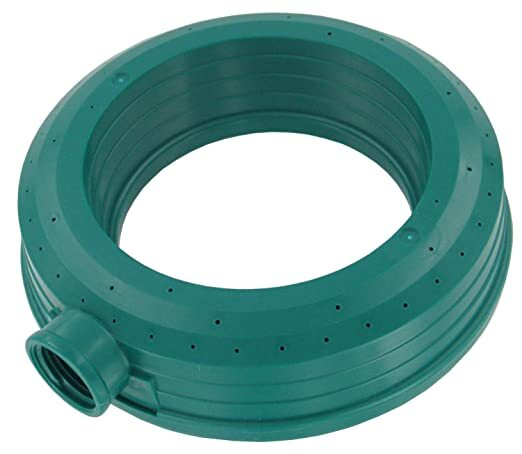 This pulsating sprinkler features a coverage area of up to 100 feet in diameter and is available in single or dual packs to cover all your watering needs. It can be connected in series, if desired, and boasts a metal step spike that’s ideal for use even in hard ground. 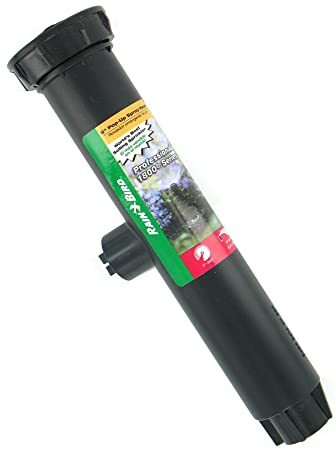 This high-rise sprinkler provides a watering coverage area of up to 50 feet in diameter and is available in single or multipacks to suit any home gardener’s needs. The integrated foot step spike allows for easy insertion where desired and the unit is retractable for convenient storage. 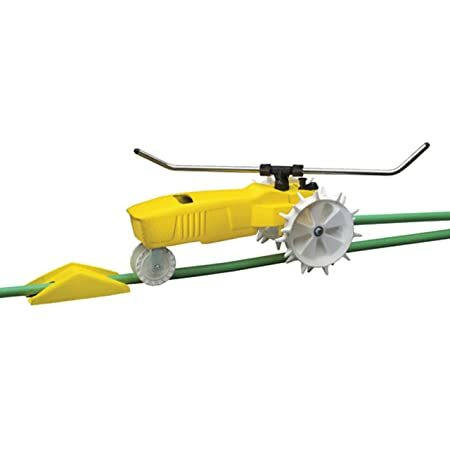 This three-armed whirling sprinkler boasts a coverage area of up to 45×45 feet and features a square spray pattern that is ideal for getting water to all those hard-to-reach corners of your lawn. 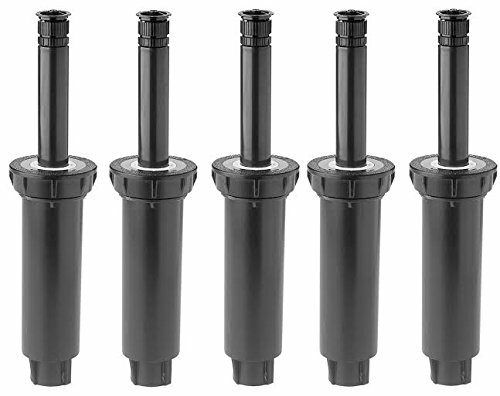 This 4-pack of rotor sprinkler heads provide a circular coverage area from 25-50 feet, and are fully adjustable from 40-360 degrees to allow only the desired areas to be watered. The arc is easily adjusted with just a flathead screwdriver. This impulse sprinkler boasts a water coverage area of up to 5,800 square feet and is available in a single or 6-pack to provide sufficient watering to even the largest of lawns. It can easily be adjusted without any tools and the design helps eliminate water wastage. 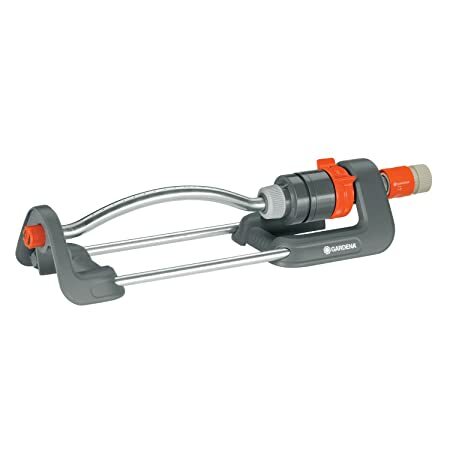 This affordably-priced rotary sprinkler provides a coverage area of up to 6.5 feet in diameter in a circular spray pattern and is suitable for use watering medium-sized lawns that don’t require a slower, gentler flow. This oscillating sprinkler boasts a coverage area of up to 3,036 square feet and features adjustable, variable settings that allow you to find just the precise spray your yard needs. This sleek-looking unit is also guaranteed for life. This oscillating sprinkler system comes with 15 holes that provide a coverage area of nearly 3,000 square feet, so you can spend less time worrying about watering your lawn. This traveling sprinkler is ideal for watering areas that are not uniform in size and will travel along the path of any hose you lay. It is self-propelled and features a selection of 3 speeds to provide you with hassle-free watering. 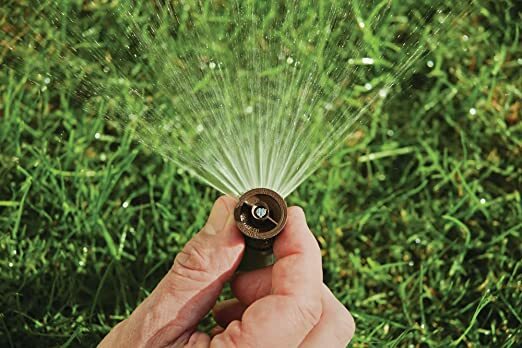 This affordably-priced sprinkler provides a coverage area of up to 30 feet in diameter through two holes in a circular spray pattern and features a heavy-duty metal construction that’s ideal for extended outdoor use. 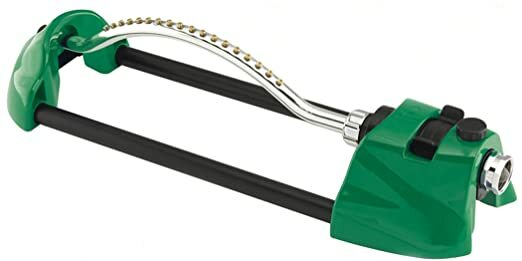 This oscillating sprinkler provides a watering coverage area of up to 2,700 square feet and boasts a fully adjustable spray width of 12-46 feet and adjustable spray length of 23-59 feet that is ideal for watering small, rectangular or square yards. 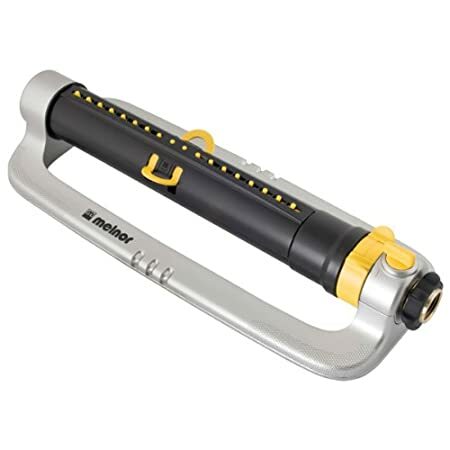 This pulsating sprinkler boasts a coverage area of up to 80 feet in diameter and is fully adjustable thanks to the integrated deflector shield. It comes in a convenient 2-pack for even the biggest of lawns. 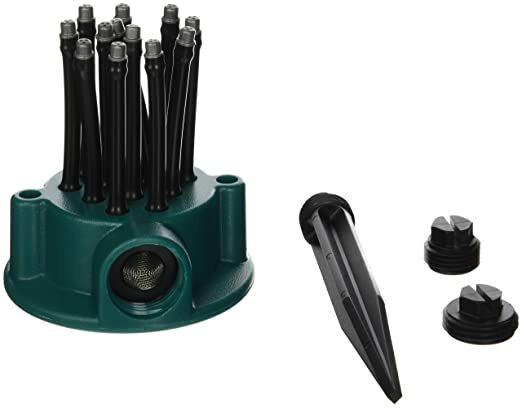 This 5-pack of rotor sprinkler heads comes complete with the nozzles already pre-installed and features a spray range of up to 12 feet. It also features a circular spray adjustment of 50-360 degrees. This pop-up sprinkler boasts a spray distance of 8-15 feet and is fully adjustable from 0-360 degrees to give your lawn just the right amount of coverage. 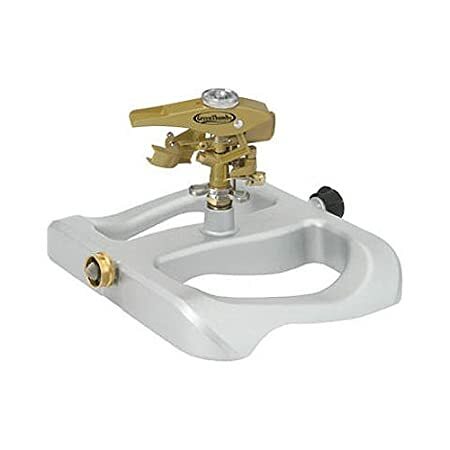 It features a 6-inch pop-up height with an integrated heavy-duty stainless steel spring to ensure a flush retraction. This affordably-priced impulse sprinkler provides a coverage area of up to 5,800 square feet and features a heavy-duty metal construction that’s ideal for extended outdoor use. It is ideal for providing a slow, gentle watering to large outdoor areas. 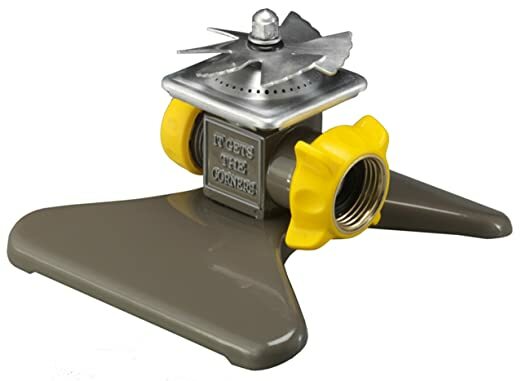 This pop-up sprinkler boasts a spray coverage area of up to 5,000 square feet and conveniently drops down and out of the way when the water is turned off so that you can mow your lawn without fear of running it over. 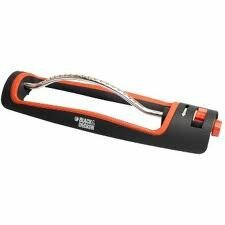 It provides adjustable spray from 17-40 feet and 40-360 degrees. 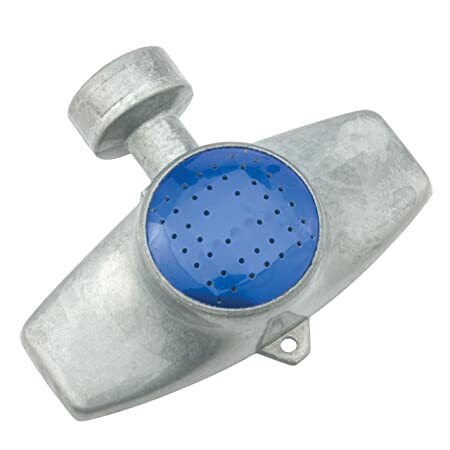 This fan-style sprinkler boasts a coverage area of up to 20 feet in a quarter circular pattern that is ideal for watering gardens and other small or oddly-shaped areas. 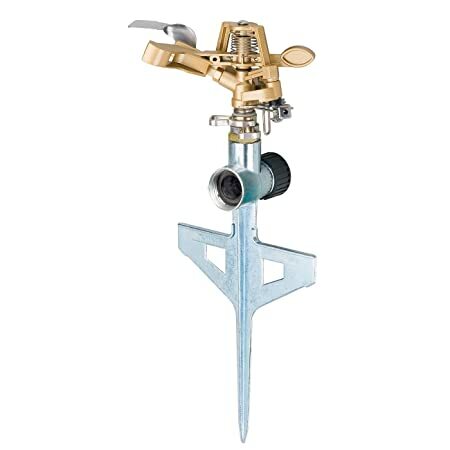 This high-rise sprinkler boasts a water coverage area of up to 22 feet in diameter and features a durable, all-metal construction of copper, powder coated steel, and brass to provide years of long-lasting outdoor use. 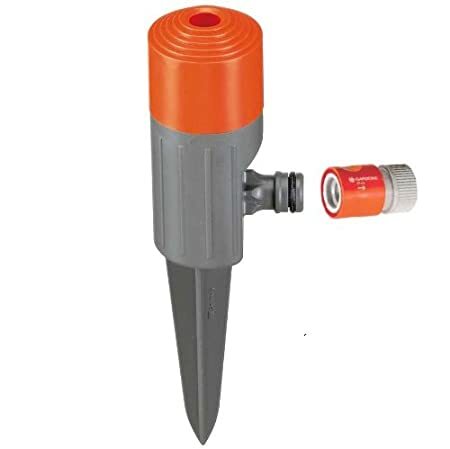 This garden sprinkler comes pre-installed on a spike for easy placement and installation and boasts a coverage area of up to 1,000 square feet with a maximum diameter of 36 feet. 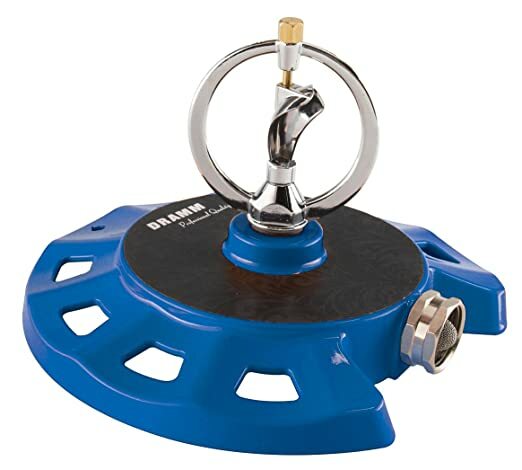 This rotor sprinkler provides a coverage area of up to 4,000 square feet in diameter and boasts a durable turbine motor that is suitable for years of outdoor use. 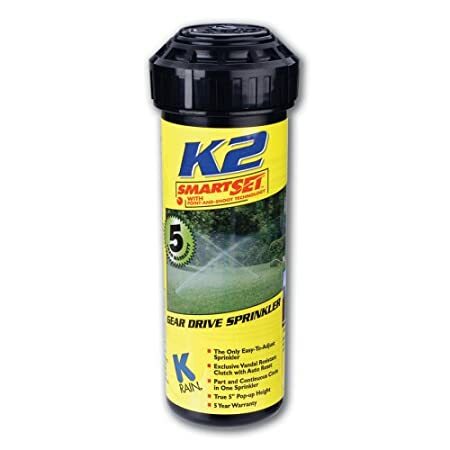 It is fully adjustable to provide spray coverage for either a full or partial circle. 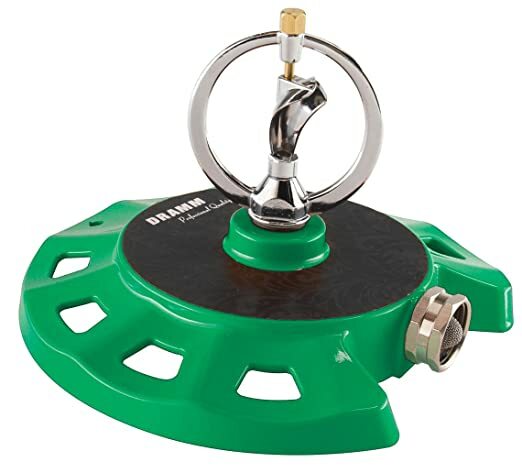 This rotor sprinkler provides adjustable spray coverage from 19-32 feet and is fully adjustable from 40-360 degrees using a flathead screwdriver. 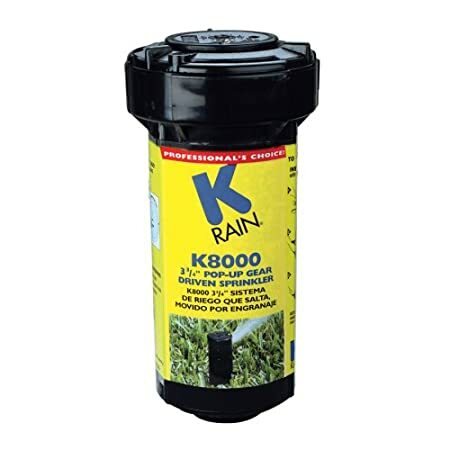 It’s suitable for watering medium-sized areas and features a water-saving spray that produces wind-resistant droplets. These ornamental sprinklers boast beautiful designs that are both focal points in your garden but also effective at providing a water coverage area of up to 30 feet. The rings spin in opposite directions to provide thorough watering coverage. 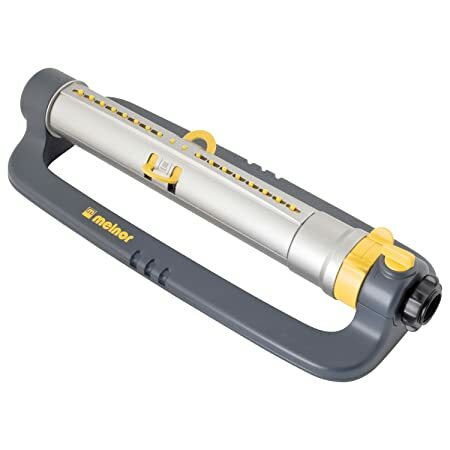 This affordable sprinkler provides a coverage area of up to 900 square feet in a circular spray pattern thanks to three rows of outlet holes. It provides gentle watering that is suitable for use in gardens or areas of reseeding. 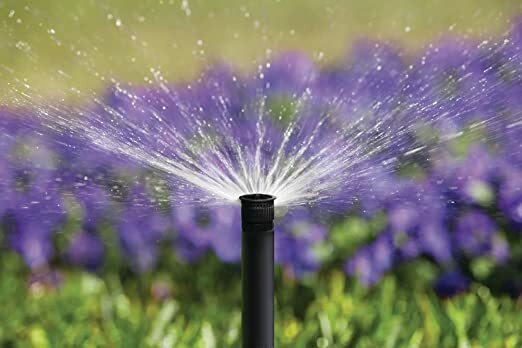 This spinning sprinkler system provides a circular watering coverage area of up to 38 feet, while creating a beautiful and mesmerizing spray pattern. It features a heavy-duty stationary base that provides increased stability. 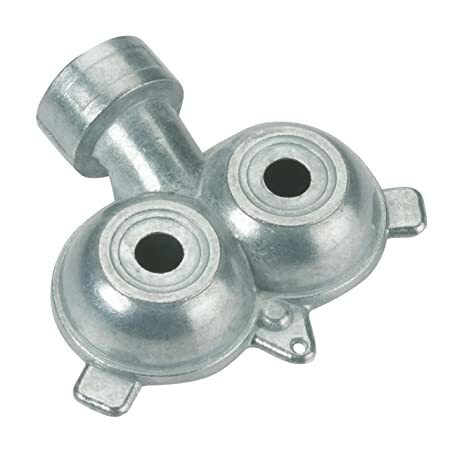 Available in a choice of different sizes to suit every lawn and garden’s watering needs, this sprinkler nozzle provides a spray from 12-15 feet and comes in a convenient 2-pack. It is easily adjustable without the need for any tools. 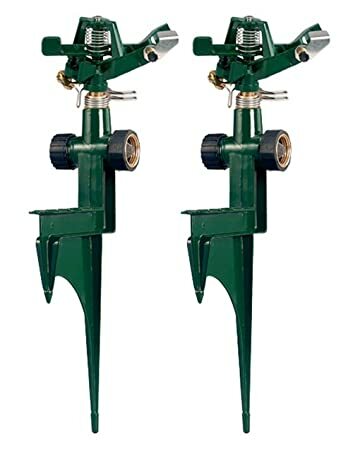 This pop-up sprinkler boasts an adjustable 20-55 foot spray radius that is adjustable from 40-360 degrees and comes complete with 7 interchangeable nozzles to help you find the ideal spray for your lawn. 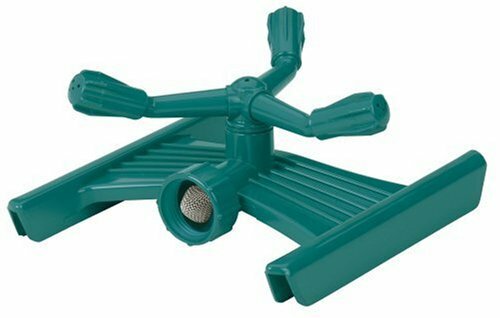 This spinning sprinkler system provides a watering coverage area of up to 66 square feet with a choice of 9 different spray patterns for ultimate coverage. It features a heavy duty stationary base that provides increased stability. This adjustable sprinkler boasts a professional-grade design and construction and shoots water from 8-15 feet to provide just the right amount of coverage for your lawn. It pops up 2.5-inches and features a 360-degree adjustable spray zone. 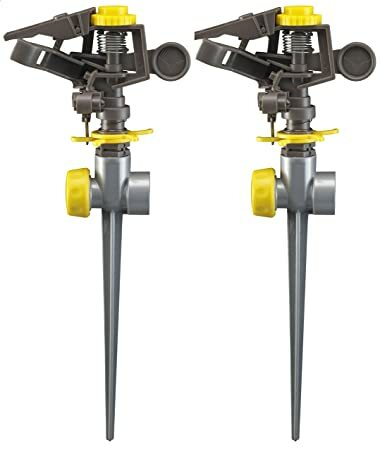 This pop-up sprinkler boasts an adjustable 20-55 foot spray radius with arc that is adjustable from -30-360 degrees and comes complete with a tamper-resistant clutch with auto reset that helps to maintain your chosen spray pattern. 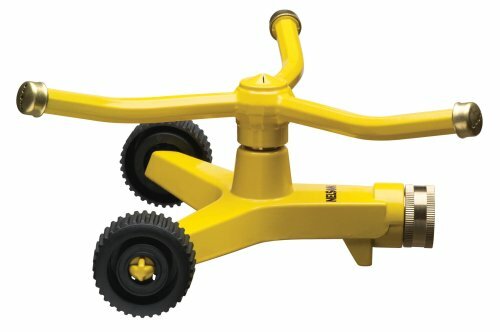 This impulse sprinkler provides a coverage area of up to 5,800 square feet in a fully adjustable spray pattern that is ideal for oddly-shaped areas. It boasts speed control that provides for even coverage of the area you’re watering.